Item Number: 10-10-07V 19693 Actual Weight: 0.1 lb. Single-sided safety cutter easily cuts and opens boxes, mailing labels, packing slips, strapping, tape, and shrink wrap. Safe, efficient, and easy-to-use cutter has soft touch handle to reduce hand fatigue and stress. Heavy-duty blade is recessed to prevent contact with fingers and hands while also preventing contact with contents, reducing product damage. Metal tape splitter provides greater versatility and extends the life of the blade. 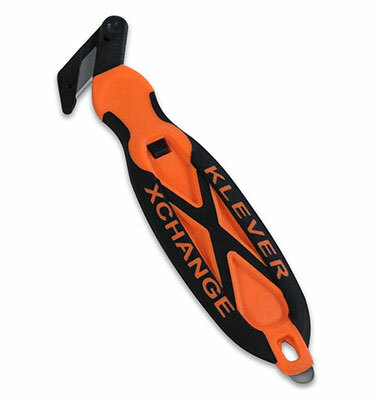 Release button on handle makes changing blades quick and easy. Replacement blades are sold separately.